MANSFIELD—Equally as important as skill and determination is player health. Especially during the post season. Nothing can dash state title dreams quicker than an ill timed injury or illness. 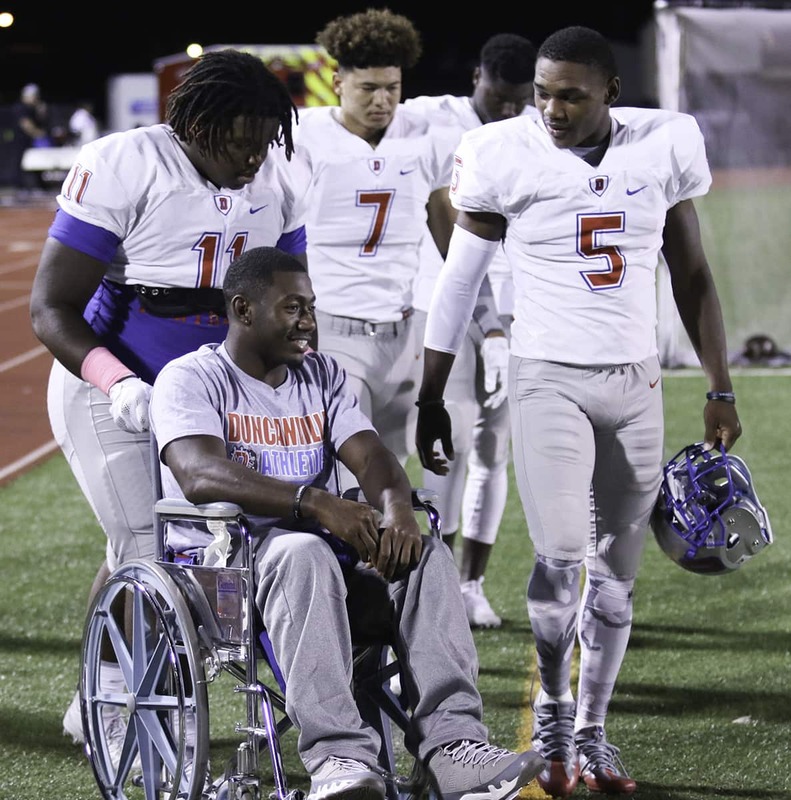 Duncanville fans are feeling the pinch first hand as they continue to wade through the playoffs without their star quarterback. 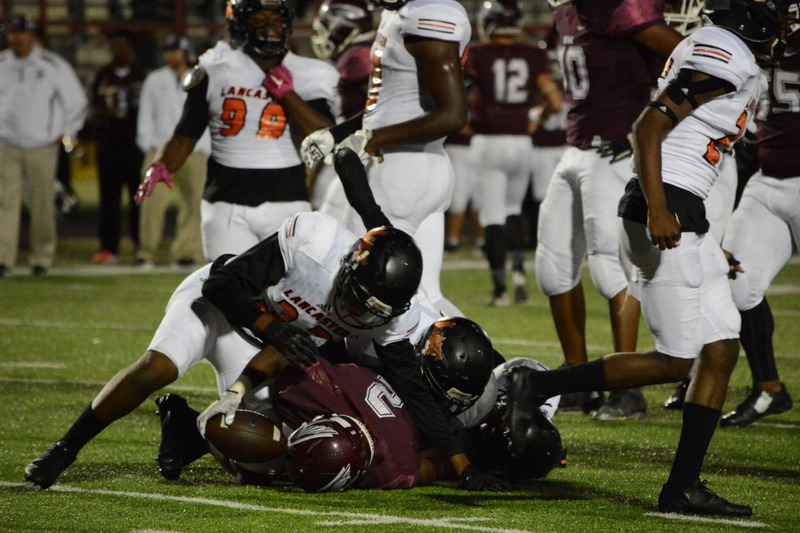 Three weeks prior to the playoffs Quarterback Jaylin Nelson suffered a fractured femur bone during the Bob Alpert Suburban Bowl against DeSoto. Seven plays into the second Panther possession Nelson was stopped in the back field during a quarterback option. When he didn’t immediately return to his feet, fans and players alike knew there was a problem. After the game, Duncanville Coach Reginald Samples stated how proud he was of his team. “We have come a long way together. Without Jaylin, we certainly didn’t play up to expectation. But the team has always given its best effort. I never expect too much from my players, but I want all I can get,” he said. Secondary Quarterback Junior Trezon Connley went on the following week to lead his team to a 33-0 victory over Irving MacArthur. Football is a game of attrition and roster depth is the only real way to the playoffs and beyond. An local noteworthy example is the ongoing “Romo vs Prescott” Dallas Cowboy Quarterback debate. When Tony Romo suffered an injury during the preseason depth at the quarterback position has allowed Romo time to heal and gain a 9-1 lead in the NFC East. Sans multi-million dollar contracts, position depth allows everyone an opportunity for play time says Gilbert. Strength training is important as well, said Cedar Hill (9-2) Coach Joey McGuire. In school sports, overuse and trauma injuries are common. Whether it’s low-back pain from playing football or an ankle injury sustained while playing volleyball, athletes can reduce injuries by strengthening all of their muscles and adopting a daily training program designed to optimize performance and minimize the chance of injuries. Jeffery McDaniel, M.D. an independent family and sports medicine physician at Methodist Mansfield Medical Center, concurs with that plan of action. Hamstring sprains, tears or ruptures are common injuries due to inflexibility. To get the most of training, nutrition and hydration are also vital. Consume a properly balanced meal of protein, carbohydrates, fruits and vegetables, and dairy. Carbohydrates should comprise about 33 percent of meals, fruits and vegetables 33 percent, dairy 15 percent, protein 15 percent, and fats and sugar no more than 4 percent. “One of the critical things is making sure that they are getting healthy nutrition. It’s one of more important but overlooked aspects of staying healthy during Week 11 and beyond,” said Often time after an especially arduous game players other grab whatever is close and quick to eat. Dr. McDaniel says nay. There is some conjecture among health experts about carbohydrates aka fuel our body needs to perform. There are those who like to categorize between good carbs and bad carbs. McDaniel says everything in moderation. Often its the volume of carbs that negatively affects the body. He recommends that 50-55 percent of each meal to be a carb [for athletes]. Drink plenty of water throughout the day, every day. Make a habit of drinking at least 16 ounces of water two hours prior to exercising and remember throughout practice . With contact sports like football, it is easy to pass around germs. Once one player on the team is sick, it is only a matter of time before the rest of the team catches the disease. 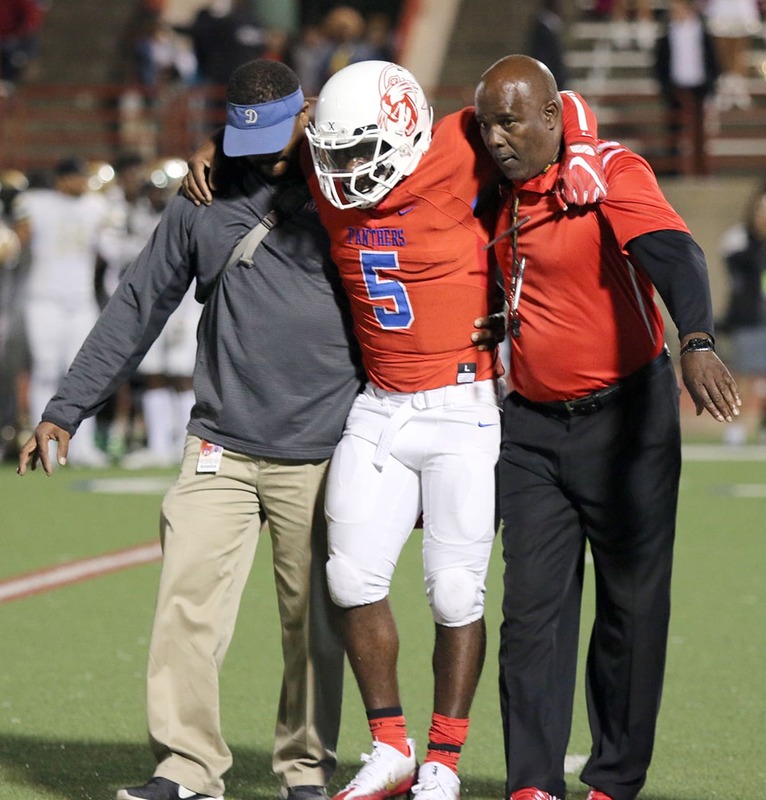 Late during the 2015 season, high school athletes were under attack. Several coaches reported losing key players for days at a time to the flu, strep throat and assorted stomach bugs. Frisco Centennial Baseball reported losing 25 of 56 players at any given time during the playoffs. One should note that 2015 was an extremely infectious flu season according to Dallas County Health and Human Services. The highest number of positive influenza tests in Dallas county during the 2013-14 and 2014-15 flu seasons were recorded in late December- January says Medical Director Dr. Christopher Perkins. Currently flu statistics are relatively low. Officials this week reported only a 0.6 percent return of positive flu cases. This is good news when compared to the current national average of 2.2 percent of the population suffering from the flu. What is more common and may affect local players is an outbreak of staph infection . Experts say keep your equipment clean by using a sports disinfectant spray. Spray down uniform padding, shin guards, any balls or other pieces of equipment that is used regularly. Doing so is one of the most effective ways to stop the spread of MRSA, methicillin-resistant staphylococcus aureus.